The future is bright. The future is electric. 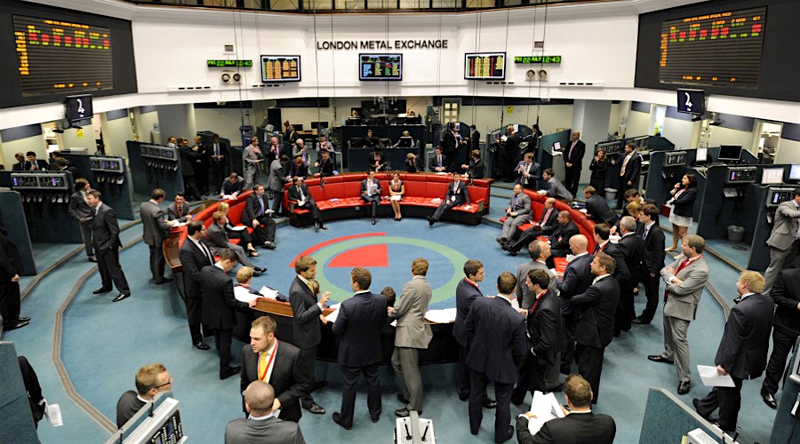 The green technology revolution lit up this year's London Metals Exchange (LME) Week. "Electric vehicles are a great long-term story" for industrial metals, according to Colin Hamilton, head of commodities research at BMO Capital Markets. And this is a sector that has been looking for exactly that since the abrupt demise of the "super-cycle" story that accompanied the last big bull rally. Copper has traditionally been the talk of the LME Week cocktail parties and dinners because this is the time Chilean producer Codelco announces its premiums for the coming year. But this year copper was rudely shoved out of the London limelight by new hot metals such as lithium, cobalt and nickel. Particularly nickel, another core metallic component of the lithium-ion batteries that are going to power all those electric vehicles (EVs). The verbal buzz quickly translated to trading buzz. Nickel went on a turbo-charged, heavy-volume rally in both London and Shanghai. LME three-month nickel hit a two-year high of $13,030 per tonne on Wednesday. Which may be just a little bit premature in terms of its usage in electric vehicles, a slow-burn story over the next couple of years at least. But it was symptomatic of this week's focus on the sunny electric uplands rather than the more prosaic short-term outlook. Remember that the LME index of six base metals went into this week showing year-to-date gains of 24 percent. And that, according to the analysts speaking at the LME Seminar on Monday, is enough in most cases. Zinc hit a 10-year high of $3,326 this week, but in the view of BMO's Hamilton, "it's now a question of how long can the price stay here rather than do we have further upside." Fundamentals, he argued, are catching up with price as a supply response nears and demand destruction looms. Aluminium matched last week's five-year high of $2,215 but, according to Jorge Vasquez of Harbor Aluminum, prices should peak "no later than February". Harbor's view is also that price has got ahead of fundamentals with continuing global surplus, an abundance of scrap and falling physical premiums all in the bearish mix. How about copper, hovering with bullish intent just below the $7,000 level? "The weakest fundamentals of all the metals in our coverage", according to JPMorgan's Natasha Kaneva. The bank is forecasting copper to remain in mild supply surplus next year. CRU's Ryan Cochrane was "fairly bullish" on lead's prospects based on continuing supply shortfall. At last month's high of $2,620, though, the price has "got a little ahead of fundamentals". Further dampening bullish spirits are the early signs that China's stimulus push of 2016 is finally starting to fade with the prospect of less spend on construction and infrastructure and slower economic growth. Macquarie Bank's LME Week Summit poll showed 54 percent expecting Chinese growth to fall below 6.5 percent, compared with 31 percent last year. China's fiscal and credit policies are simply "unsustainable," according to Grant Colquhoun, chief economist at research house CRU. This is the old metals story, fortunes beholden to China's growth targets and economic cycle. However, one market at least is definitely in the "early stages of a bull market", according to Guy Wolf, analyst at Marex Spectron. Wolf, however, doesn't really do fundamentals. "They don't matter because the consensus is always wrong" read the first line of a slide titled "Tesla Who?". Just a joke, Wolf said. Marex Spectron does take a very different approach, though. Its micro-analysis involves fragmenting price action into what are, in LME nickel's case, around 150,000 monthly transactions, most of them only one lot in size. And on the basis of transaction aggression, Marex sees a "relentless skew in favour of demand over supply" since 2016. The tonnage impact of EVs on nickel demand "doesn't matter", according to Wolf. "What really matters is the change in psychology." And driving that change in psychology is the electric vehicle (EV) and the prospect of a whole new era for metals demand. "We believe the EV market has reached a tipping point", said CRU's Rebecca Gordon, with ever more car companies joining the electric revolution in response to ever more national and civic clean air mandates. Lots of people agree with that prognosis, judging by the number of attendees at CRU's "New energy vehicles" workshop. Just what EVs will really mean for metals demand is still high impossible to calculate, given the multiple moving parts of EV sales growth, lithium-ion battery chemistry and the requirements of grid and charging infrastructure. But multiple challenges to existing materials supply chains are assured, which means multiple opportunities for some. Including the LME itself, which included a round-table discussion of EVs in its Seminar, even though it doesn't have a lithium contract and its existing cobalt contract is for the wrong sort of cobalt. That might all change with the exchange signalling a more adventurous approach to new contracts, including potentially lithium. It too is looking towards an electric future beyond the more prosaic implementation of its multi-layered reform programme. Although this year's LME Week was a happier time for the exchange itself, it got a couple of reminders that the world of metals trading is also fast changing. CME, which likes to poop the LME's annual party, did so again this year with the announced launch of a new copper premium contract. The NFEx base metals exchange, meanwhile, is gearing up for launch, probably in the second quarter of next year. But this was the year that belonged to the EV revolution. As with the over-arching "super-cycle" narrative, the EV story interacts with each and every industrial metal to varying degrees, becoming in effect a "super-narrative". It might be years before the lithium-ion battery sector really impacts nickel's supply-demand dynamics in a significant way. But to quote Marex Spectron's Wolf, does it matter? "What really matters is not what fundamentals are but what people believe them to be." Fundamentals are starting to look decidedly soft for several of these base metal markets but does that matter? If investors start buying into the longer-term EV story, weaker short-term signals will be lost in the bull noise. That, according to Marex Spectron, is what's already happening to nickel. * The opinions expressed here are those of the author.